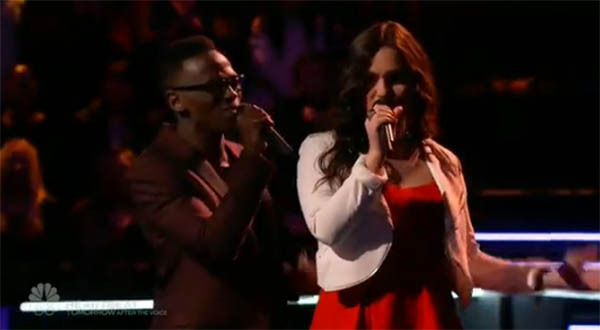 Abby Celso and Brian Nhira sings ‘Sugar’ by Maroon 5 on The Voice Season 10 Battle Rounds, Monday, March 21, 2016. 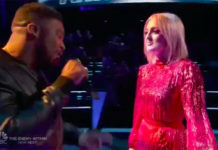 “Brian to sing that in your full voice, I’m impressed by that,” said Adam Levine. “Brian, you fun to watch, full of energy and that full voice thing is incredible. 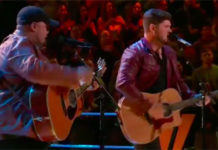 Abby, you have so many different tone you have in your voice,” said Blake Shelton. “Brian was locked in for the win. Abby, you had different textures choices vocally that Brian doesn’t have,” said Christina Aguilera. “Abby, you showed different parts of your voice. Brian, no one can deny your ambition when performing,” said Pharrell Williams. The winner of this battle is Abby Celso. Adam and Christina are on for a steal, Brian Nhira picked Team Adam. 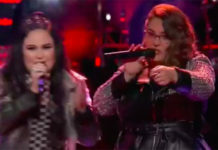 Watch their performance on the video below.